There are days when we’re stuck inside all day – due to weather, illness or just my general lack of enthusiasm about completing laundry. On those days, I find it pays to have a special “something” up your sleeve. My newest device? The sensory bin. I knew that kids went gaga over those bean filled tubs in the preschool room where I used to work so I figured I’d give it a try at home. Worried about an explosion of beans? 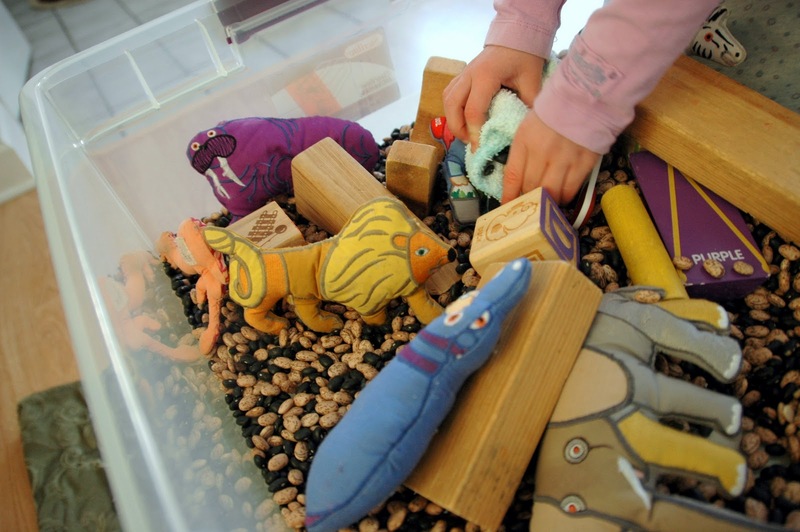 There’s a great article here about setting appropriate boundaries when it comes to sensory boxes. I found the tablecloth under the bin worked perfectly to collect any spills. Holding up the plastic storage bin are two stools from Ikea, not the sturdiest of options but it did the trick. The beans alone amused Claire for quite a while. She scooped, squeezed and dug for a good half hour. Once the zoo animals went in she pretended to be a zookeeper feeding the animals (beans) and scooping their poop (beans). This cycle of eating and pooping seemed perfectly reasonable to her. This is our first venture into sensory play (aside from our summer sandbox) and Claire needed some gentle reminders about keeping the beans in the bin. There was one accidental tip over, but thanks to the carpet it was quick to clean up. All in all, it was a successful experience. I can’t wait to try filling our bin with new things: rice, lentils, water or perhaps even shaving cream! A kind reader directed me to Counting Coconuts where there are tons of ideas for things to include in sensory bins, be sure to check it out. What’s your secret weapon for amusing your kids when homebound? 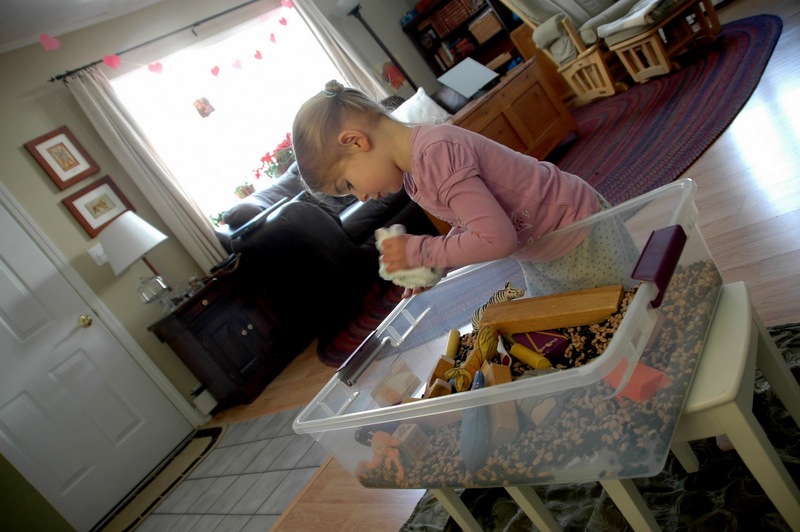 Oh my goodness, I remember fondly how much my daughter loved her first sensory bin. I filled it up with oatmeal (because she still put things in her mouth) and she would play with it FOREVER. It was amazing! The bin looks great! We play grocery store a lot. 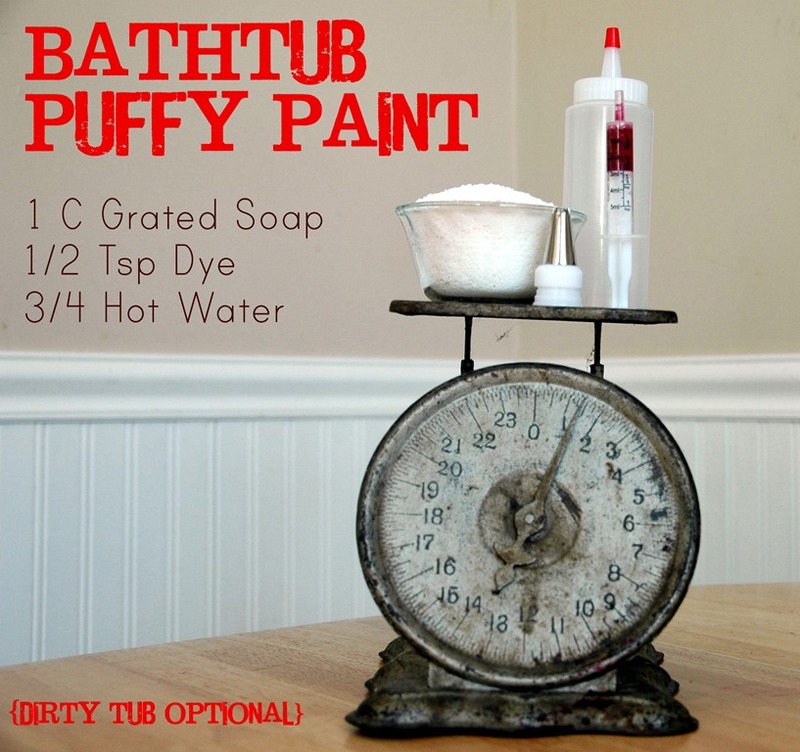 Have you checked out the sensory tubs at Counting Coconuts? She does a fabulous job! @April — I'm totally trying oatmeal next, I can buy that really cheaply in bulk which is a bonus! @Jdaniel4's – that's a favorite game around here too! 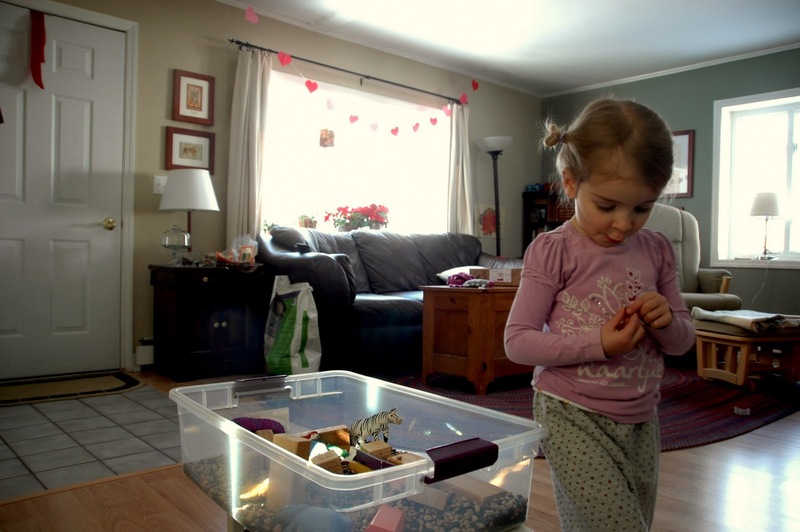 Thanks so much for the link Aleacia – I can't believe some of her bins – *I* want to play in those too! I'm going to edit my post and add a link in to her bins right now! What a wonderful idea! I very much enjoy reading this blog. Keep up the great posts. Such a lovely idea regina….I'm gonna break the beans out now!! I just found your blog after your interview on The Artful Parent. Sensory tubs are a big hit at our house too! 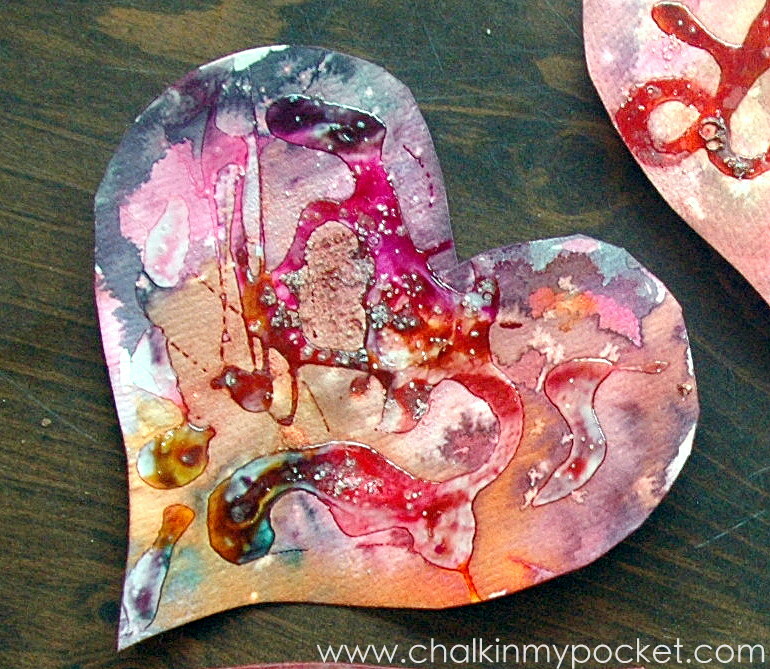 This month I'm experimenting with rice dyed with liquid watercolors. My son LOVES his sensory tubs! Previous Previous post: Is There Value in Digital Art Programs for Preschoolers?